1. Play Safely: The best safety policy is to follow your parents' rules regarding playing online. 2. Do Not Try To Share Personal Information. Please do not try to share with anyone your personally identifiable information such as your e-mail address, physical address, school name, last name, photographs of yourself, instant messenger username or telephone number. Likewise, do not ask for any such information from other users. If you think anything is suspicious, make sure to report it. profanity, obscenities ("swear words") or sexual content (express or implied). attacks, comments, or opinions about other people or things that slander, defame, threaten, insult or harass another person. requests for player passwords (including offers to take care of another's account). "spamming" (repeatedly posting the same message) or "party boards". gangs, gang-slang, or the promotion of gangs. promotions offering prizes of any sort (including contests, raffles, lotteries, chain letters or any kind of giveaway). other information that we deem, in its sole discretion, to be inappropriate for this site. 4. Other Players Also Enjoy Neopets: If you see something you don't like, remember that all the stuff on the message boards, chat rooms and other communication areas comes straight from other players, not from us. We wouldn't tell kids what to say, because kids have minds of their own! But if someone sends ugly messages, we'll do our best to take care of it. We all want Neopets to be a good, clean place to hang out. 5. Playing Neopets Is Not A Way To Make Money: As a guest you do not own the accounts, activities, items, virtual currency, characters, locations, games and avatars on Neopets; they are for you to play with while on Neopets; you can't sell anything for real money. This means that you cannot try to make money off the virtual items or currency in your account or even sell the time it took you to collect such items. If we find someone selling virtual items or currency, we will freeze every account controlled by that player and every account of the player who purchased such virtual currency or items. 6. You are a Guest; Please Act as Such. You are a guest on Neopets and you should act accordingly and respect the other guests you meet. We reserve the right to prohibit the use of Neopets to any player at any time. Please be a good guest. 7. Posting Your Stuff on Neopets. If you write something that catches our eye anywhere on Neopets, we might want to use it. By posting material on Neopets or through Neopets' functionality (and getting your parent's permission to do so if you are under the age of 18), you and your parents are telling us it's ok to repeat what you say. It's even ok to put it in an advertisement. It means we can use it in any way we want, anywhere, until the end of time. And wouldn't it be cool if we used something YOU said until the end of time? 8. Inactivity. 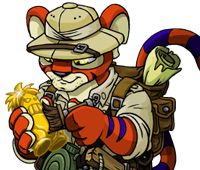 We work very hard at making Neopets fun and enjoyable for everyone because we want you stay active. However, if you choose to stop playing on Neopets, we reserve the right to permanently erase your account and everything associated with your account including items or privileges that may have been licensed through the payment of money to us or our licensing partners. Currently, our policy is to terminate any account that has not been active for eighteen months. 9. Respect Other People's Creative Material. We respect the creative material/intellectual property of others, and we ask our players to do the same. We may, in appropriate circumstances and at out discretion, terminate the accounts of players who infringe the intellectual property rights of others. 10. Do Not Share Your Account. You shall not share your account with anyone or allow anyone else other than you personally to access or use your account, other than your parent(s) or guardian(s) who have rights to access and manage your account if you are a minor. You will be held responsible for any activity that occurs on an account registered to you. 1. Your License to Our Content/Intellectual Property. All site software, design, text, images, photographs, illustrations, audio clips, video clips, artwork, graphic material, programs, routines, objects, files data, characters/avatars (including all attributes comprising or associated with any player account such as virtual currency, trophies, virtual pets, game statistics, and virtual items), player and pet names, games or other copyrightable elements, and the selection and arrangements thereof, and trademarks, service marks and trade names (the "Material") are the property of Jumpstart and/or its subsidiaries, affiliates, assigns, licensors or other respective owners and are protected, without limitation, pursuant to U.S. and foreign copyright and trademark laws. We hereby grant you a personal, non-exclusive, non-assignable and non-transferable license to use and display, for noncommercial and personal use and solely for purposes permitted by, and in a manner consistent with the terms of this Agreement and the game rules applicable to each individual site, one copy of any material and/or software that you may download from Neopets, including, without limitation, any files, codes, audio or images incorporated in or generated by the software provided that you maintain all copyright and other notices contained in such Material. You agree not to reproduce, modify, create derivative works from, display, perform, publish, distribute, disseminate, broadcast or circulate any Material to any third party (including, without limitation, the display and distribution of the Material via a third party website) without the express prior written consent of us. Use of our and/or our licensors' Material is only permitted with their express written permission. You further agree that you will not disassemble, decompile, reverse engineer or otherwise modify the Material. You hereby expressly waive any legal rights you may have to do so, including any claim that such activities constitute "Fair Use" or are for "interoperability purposes" under the Digital Millennium Copyright Act. Any such attempt shall exceed the "authorized access" you have to Neopets as that term is defined under 18 U.S.C. § 1030. Any unauthorized or prohibited use may subject the offender to civil liability and criminal prosecution under applicable federal and state laws. Any and all rights not specifically and expressly granted by us herein are reserved, and no license, permission or right of access or use not granted expressly herein shall be implied. Any use of Neopets not expressly authorized by us is strictly forbidden and will be regarded as an infringement of our copyrights in and to Neopets and/or the individual games within Neopets. You agree that you will not, under any circumstances: (a) in whole or in part, translate, reverse engineer, derive source code from, modify, disassemble, decompile or create derivative works based upon Neopets or any game contained therein; (b) use cheats, automation software, hacks, or any unauthorized third party software to modify Neopets, any activity or game within the Neopets or to change any designed game play; (c) use the functionality of Neopets for transferring any in-game currency, item, avatar or account to another user in exchange for payment outside Neopets; or (d) perform any in-game services or activity on another user's account in exchange for payment outside Neopets (e.g., obtaining trophies for other users. 2. Our License to Your Content/Intellectual Property. By uploading or otherwise submitting any materials to us and/or Neopets, you (and your parents, if you're under age 18) automatically grant (or warrant that the owner of such rights has expressly granted) to us a perpetual, royalty-free, irrevocable, non-exclusive right and license to use, reproduce, modify, adapt, publish, translate, create derivative works from, and distribute such materials or incorporate such materials into any form, medium, or technology (now known or hereafter developed or devised) throughout the universe. In addition, you warrant that all so-called "moral rights" and other rights recognized throughout the world (including without limitation, the European Economic Community) in those materials have been waived. 3. Our Copyright Policy. We take protection of copyrights, both our own and others, very seriously. We therefore employ multiple measures to prevent copyright infringement on Neopets and to promptly end any infringement that might occur. If you believe that any of Neopets contains elements that infringe your copyrights in your work, please follow the procedures set forth in our Copyright Compliance Policy. We encourage discretion when visiting third party sites and considering the products and/or services offered on such sites. We strongly encourage you to make whatever investigation you feel necessary or appropriate before proceeding with any online or offline transaction with any of these third parties. As such, you hereby irrevocably waive any claim against us with respect to such third party sites. 2. Ads and Malware. We take great care and pride in creating Neopets. We are always on the lookout for technical glitches that effect how Neopets works. When we find them on our end, we will fix them. Unfortunately, your home computer may cause some glitches that effect how you see Neopets -- and that is beyond our control. If you experience any unusual behavior, content or ads on any of Neopets, it may be the result of Malware on your computer. Malware--short for MALicious softWARE--is a term used to broadly classify a form of software which is installed in a computer system with malicious intentions, usually without the owner's knowledge or permission. Malware includes computer viruses, key loggers, malicious active content, rogue programs and dialers, among others. While we continuously work closely with our partners to ensure that everything on Neopets is working properly, sometimes Malware programs on your personal computer may interfere with your experience on our sites and on other sites that you visit. We suggest that you take some of the following actions which may help to clean your computer and which could prevent future installations of Malware. Install a SpyWare Removal Tool such as Spybot Search & Destroy or AdAware to clean your computer of Malware. Please note that we cannot be responsible for the effects of any third-party software including Malware on your computer system. Please make sure to carefully read the Help or Customer Support areas of any software download site. If you do discover any Malware on your system, we also suggest you speak with a qualified computer technician. 1. Posting Content Via Site Functionality. Neopets contains various features that may permit players, consistent with applicable laws, to post ideas, content, information and opinions ("Postings"). In no event do we assume or have any responsibility or liability for anything posted by you or another player. You hereby represent and warrant that you have all necessary rights in and to all Postings you provide and all information they contain and that such Postings shall not infringe any proprietary or other rights of third parties or contain any libelous, tortious, obscene, pornographic, threatening, invasive of privacy or publicity rights, abusive, illegal, or otherwise objectionable, or that would constitute or encourage a criminal offense, violate the rights of any person, or otherwise violate any law or give rise to liability. Further, you agree not to abuse our communication features by "spamming" (posting numerous identical messages). The communication features on Neopets may be used for noncommercial purposes only. You are not permitted, without our express written approval, to distribute or otherwise publish any Postings containing any solicitation of funds, endorsements (including of a religious, political, sexual orientation, or social cause nature), promotions, or advertising or solicitations of any kind or nature. You specifically acknowledge that soliciting other players of Neopets to join or become members of any commercial online service or other organization or group (profit, non-profit, religious, social, political, or otherwise) is expressly prohibited. Each site may have there own particular rules regarding communicating with other players but some basic guidelines apply to all of Neopets. First, be respectful of other players and always remember that children may be playing on Neopets. If you try to post something that we deem inappropriate, in our sole discretion, your account will be terminated. Second, we don't allow players to try to get other players to communicate off Neopets. Thus, your account may be terminated is you ask for information such as other players' IM, email address, physical address or suggest that you and the other player should go to a third party site so you can communicate more freely. Likewise, do not supply any such information about yourself to other players. Remember all communications are filtered and may be viewed by monitors to make sure your communications with others are appropriate. 2. Communications with Us. Neopets provides methods to communicate with us regarding your account, concerns about other players, site questions, etc. First, when we communicate with you, WE WILL NEVER REQUEST YOUR PASSWORD. Second, please do not spam the communication features and make sure that you only communicate through the proper communications channels designated to address your questions. If you don't use the proper communications channels for your particular question, you may not receive a response. E. Rules Applicable to Certain Other Services Offered on Neopets: Neopets may offer additional services and offers like the ability to purchase virtual items, subscription-based services, contest and sweepstakes. For such additional services and activities, there may be specific rules of participation which appear in connection with information about a particular activity and you will have to agree to those rules in order to participate, subscribe, purchase or license. This Agreement is incorporated by reference to the applicable rules of participation. Any such terms of participation are in addition to this Agreement, and in the event of a conflict, prevail over this Agreement as applied to those services and activities. 1. Disclaimer And Limitation Of Liability. NEOPETS AND ALL MATERIALS CONTAINED ON NEOPETS ARE DISTRIBUTED AND TRANSMITTED ON AN "AS IS" AND "AS AVAILABLE" BASIS, WITHOUT WARRANTIES OF ANY KIND, EITHER EXPRESS OR IMPLIED, INCLUDING, WITHOUT LIMITATION, WARRANTIES OF MERCHANTABILITY OR FITNESS FOR A PARTICULAR PURPOSE. We are not responsible or liable for any infections or contamination of your system, or delays, inaccuracies, errors, or omissions arising out of your use of Neopets or with respect to the information and material contained on Neopets. The entire risk as to the quality, accuracy, adequacy, completeness, correctness and validity of any material rests with you. TO THE FULLEST EXTENT PERMISSIBLE PURSUANT TO APPLICABLE LAW, WE, OUR AFFILIATES, AND THEIR RESPECTIVE OFFICERS, DIRECTORS, EMPLOYEES, AGENTS, LICENSORS, REPRESENTATIVES, AND THIRD PARTY PROVIDERS TO THE SITE WILL NOT BE LIABLE FOR DAMAGES OF ANY KIND INCLUDING, WITHOUT LIMITATION, COMPENSATORY, CONSEQUENTIAL, INCIDENTAL, INDIRECT, SPECIAL OR SIMILAR DAMAGES, THAT MAY RESULT FROM THE USE OF, OR THE INABILITY TO USE, THE MATERIALS CONTAINED ON THIS SITE WHETHER THE MATERIAL IS PROVIDED OR OTHERWISE SUPPLIED BY NEOPETS OR ANY THIRD PARTY. Notwithstanding the foregoing, in no event shall our liability to you for any and all claims, damages, losses, and causes of action (whether in contract, tort or otherwise) exceed the amount paid by you, if any, for accessing Neopets. 2. Termination of Account/Site Content. The privileges granted to you under this Agreement will terminate immediately and automatically without notice from us, if, in our sole discretion, you fail to comply with this Agreement or the applicable game rules posted on Neopets. We also reserve the right to terminate your access to Neopets at any time. Finally, we reserve the right to change, modify, delete any of Neopets content or features at our sole discretion. 3. Indemnification. You agree to indemnify, defend and hold harmless, us, ours affiliates, and their respective officers, directors, employees, agents, licensors, representatives, and third party providers to Neopets from and against all losses, expenses, damages and costs, including reasonable attorneys' fees, resulting from any violation of this Agreement by you. We reserve the right to assume, at its sole expense, the exclusive defense and control of any matter subject to indemnification by you, in which event you will fully cooperate with us in asserting any available defenses. 4. Applicable Law, Venue, Jurisdiction. The Agreement and the relationship between you and us shall be governed by the laws of the State of California without regard to its conflict of law provisions. For any dispute arising under this Agreement, you agree to submit to the personal and exclusive jurisdiction of the federal and state courts located in the State of California and County of Los Angeles. You further agree to accept service of process by mail, and hereby waive any and all jurisdictional and venue defenses otherwise available. You agree that regardless of any statute or law to the contrary, any claim or cause of action arising out of or related to the use of any of Neopets or the Agreement must be filed within one (1) year after such claim or cause of action arose or be forever barred. 5. Interpretation. This Agreement contain the entire understanding of the parties hereto relating to the subject matter hereof, and cannot be changed or terminated orally. If any provision of this Agreement is found to be illegal or unenforceable, the Agreement will be curtailed to the extent necessary to make it legal and enforceable and will remain, as modified, in full force and effect. In interpreting this Agreement, the English version governs the interpretation and meaning of the obligation set forth herein. To the extent there is an ambiguity or conflict with the Agreement in other languages, the Agreement in English governs. 6. Modification. We reserve the right, at any time and from time to time, for any reason in our sole discretion, to change the terms of this Agreement. We will notify you of these changes consistent with applicable law. Once we modify the Agreement, these changes become effective immediately and if you use Neopets after they become effective it will signify your agreement to be bound by the changes. You should check back frequently and review the terms of this Agreement regularly so you are aware of the most current rights and obligations pursuant to your agreement with us. 8. Content Disclaimer: Please note that Neopets and its Neomail e-mail service are not in anyway related to or affiliated with Ernie Miller or his Neomail e-mail software program. Please note that Neopets and the "Chia" species are not in any way related to or affiliated with Joseph Enterprises' "Chia Pet" or any other Joseph Enterprises products bearing its registered trademark "CHIA." 9. Location: We operate and control Neopets from its offices in Torrance, California. No software from Neopets may be downloaded, exported or re-exported in violation of any law including, without limitation, to countries that are subject to U.S. export restrictions.